This is a question asked by Jill Zeller at Book View Cafe. Who is your favorite character of all time? Who is, at least, in your top ten? Click through if you have time and check out Zeller’s choices. From her choices, I would probably overlap for Temeraire. Not sure I would have picked any of the others. I would imagine that given the enormous world of books and disparate reader tastes, no one is going to overlap all that much. Especially in a truly impossible task like this. When I saw this question, I immediately thought of mostly characters I first met pretty recently, say in the past ten years. But when I try to think back to my teen years or before, I can think of some strong contenders there as well. Narrowing wonderful characters down to a top ten … I don’t know, it’s probably impossible. I bet no one is surprised by these, right? There, what about those? I bet mostly you didn’t see those coming. 5) Cassandra from The Touchstone Trilogy. Also Kaoren Ruuol. Also practically every lead character in all of Andrea K Höst’s books. I’m doing a lot of re-reading this year and now, after this post, all her books are calling my name. Again. 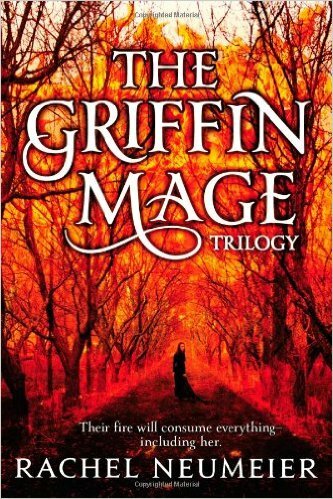 6) Morgan and Raederle in The Riddlemaster trilogy. 7) Marcus in the Shadow Campaigns series. He was not the most compelling protagonist for me — That was Winter, so sure, her too. But Marcus was the most admirable character in the series. 8) Number Ten Ox in Bridge of Birds and the others in that trilogy. Also Master Li. You see I’m going back and forth in time as I pick characters. I can’t help it. First it seems unfair to focus just on more recent books, but then ridiculous to try to ignore books and series published recently in order to emphasize early reads. In trying to do both, I’m probably unfairly ignoring books published about twenty years ago. Also, you have probably noticed that once I started adding more than one character per slot in this top ten list, it was hard to stop. I’m feeling a bit paralyzed since I only have two more slots to go and a near-infinity of potential choices. 9) Rowan from The Steerswoman series. Also Bel, the Outskirter. Also Will and his rediscovery of the scientific method as applied to explosives. 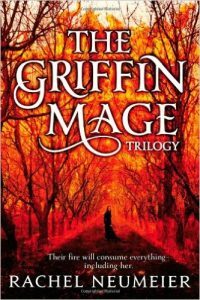 10) Lady Tehre from the Griffin Mage trilogy. Science-y protagonists in fantasy settings are hard to beat, for me. Okay, who’s a fabulous character I should absolutely have remembered? 14 Comments → Who is your favorite character of all time? I agree with many of your picks, though I’d pick Samarkar (Eternal Sky, Elizabeth Bear) over some, and others I don’t know. I rather prefer Rian (Pyramids of London) to Cassandra in Höst’s work. Tehre and Bertaud are excellent. And finally: Maturin and Aubrey, who rub along so well together. Tremaine is also the first name in my list. Marcus and Winter, yes; Temeraire, yes. Also Banichi and Jago in CJ Cherry’s “Foreigner” series. Rowan and Bel, Cazaril in LM Bujold’s “Curse of Chalion”. Nemienne in your “House of Shadows”, Moon, Jade and Stone in the Raksura series. Malian, Raven and Kalan in Helen Lowe’s “Wall of Night” series; Mirian in Tanya Huff’s “The Silvered”; Dev and Kiran in Courtney Schafer’s series; and Murderbot in “The Murderbot Diaries”. I cheated a lot there and had to leave off so many others. Even so, I came up with 12. 1. Cordelia Naismith Vorkosigan. And Miles, of course. And Ekaterine. Ooh, and Cazaril, yes! 2. Eugenides from The Thief. 3. Inda from Sherwood Smith’s series of that title. 4. Frances Hardinge’s heroines, particularly Triss, Neverfell and the one whose name we don’t learn until the end. 5. Lord Peter Wimsey and Harriet. 6. Harry from Blue Sword and Lissar from Deerskin. 7. Breq from the Ancillary series . 8. Maia of course. I’ll fill the rest of my list with more of your choices: 9. Sarah, 10. Rowan. (And Hazel, too, yes!) Bonus entries: 11. Ezekiel, Grayson, Miguel, Keziah … pretty much every character in Black Dog. 12. Elizabeth from Pride and Prejudice, Jane Eyre, The Grand Sophy. Ha, and Murderbot, of course! And Tiffany Aching! This is fun! Yes to Hazel! Puck from The Scorpio Races. And if Temeraire counts, surely the dragons from Wings of Fire should be eligible, too. There are so many lovable characters in Tui Sutherland’s series, but if I had to pick just one, I’d go with Moonwatcher from the second arc. Yes yes yes to all your choices. How could I have forgotten Eugenides? And Inda? And Cazaril, and the Murderbot, not just Puck but also Sean, and, and, and… Maybe a list of 100 would begin to scratch the surface. Thanks to those of you who picked out some of my characters. I would have a terrible time picking my one favorite from H of S or from the Black Dog series. I’m waiting for the entire second arc from Wings of Fire to be complete before I read them. Oh, wait, I see they are all out now. Glad you mentioned them, Kristina! Mine, strangely, tend not to be protagonists. My top three are Faramir (LOTR), Barbara baroness Saveze (Heather Rose Jones’ Alpennia books), and Jane Brailsford (Caroline Stevermer’s College/Scholar of Magics). In any order, really. That’s interesting, Irina. I just naturally jumped to thinking about protagonists, even though that was not implied by the question. . . . which Faramir? I liked Faramir a lot in the original LotR, but much less in the movies, where I thought Jackson’s handling of the character produced possibly the low point of the entire film trilogy. Hmm. I wouldn’t put any LOTR characters on the list. Tolkien made them all archetypes of one thing or another. Maybe Faramir was the archetypical red shirt? Well, anyway. Cazaril, always. Samwise Gangee. Hazel and Maia. Folie, from My Sweet Folly. and…well… I’d have to throw in a mention of Nero and Archie. I’d love to have dinner with them, with Lord Peter, of course–he could choose the wine so long as Fritz was doing the cooking. So many good mentions already! I’d have to add Eff (Wrede’s Far West), Cimorene and Morwen (also Wrede), Sybel (McKillip’s Forgotten Beasts of Eld), Lirael and Sabriel (Nix’s Old Kingdom), Elisa (Carson’s Fire and Thorns), Flora (Wilce’s Flora Segunda), Claidi (Lee’s Wolf Tower), Araene… This is just after a quick glance at books I’ve read. What they did to Faramir in the movie irritates me every single time. Good to know other people were offended on Faramir’s behalf. Actually, I don’t think Faramir was an archetype — but archetypes handled well can definitely fall into my “favorites” list. Aragorn would be on my list as well, and I do think *he* is totally an archetype. I’m just a sucker for the Noble Hero archetype. So much yes for the Masterharper, and for Nero and Archie, and for Eff, and and and … as always, the list of favorite characters just gets longer. Maybe 200 essential favorites would about do it? And Faramir was a suprise, according to tolkien. He just turned up during the writing. I will never forgive PJ for his mangling of the characters, especially Faramir’s. He’s explained his thinking and it makes sense, but NO. Favorite non-protaganists: Elliard of Hed. (pauses. realizes most of the non-protaganists in that trilogy could be listed, but won’t.) We don’t see a lot of him, but he’s so much himself, and just what Morgon needs. Whit and Berry from Bujold’s Sharing Knife. and the baby Lakewalkers. Bo? and Ran? Miguel and Ezekiel from Black Dogs. Jaift from White Road, Cort from Keeper. The other friends too, but their names are not coming to mind. The Gryphon mage from your trilogy.I’m not going to try to spell his name. Roc from Winter of the World. Ardath, the protaganist’s sister from CJC’s FORGE OF HEAVEN, who helps save the day with her power of being Fashionable. Oh, I had completely forgotten about Ardath from Forge of Heaven. That is far from my favorite of CJC’s but I do love Ardath. I agree, I could list so many secondary characters from Riddlemaster. Har. Mathom. Deth, for that matter. Don’t care about Jackson’s reasoning behind his recasting of Faramir. Just no. (somewhat belatedly) The book Faramir, of course! The movie one was an affront.